Sit back and enjoy the beauty of Tuscany… State-of-the-art, high-speed Italo trains promise stress-free travel and more time to enjoy these cities. Our expert guide will whisk you past the ticket lines for faster priority access at select sites and museums including the Roman Colosseum, Sistine Chapel, Uffizi Gallery in Florence and the Doge’s Palace in Venice. With our signature flexibility, you can add extra nights in any city... or even do this trip in reverse! Create your own Italian holiday with our choice of city-center hotels, comfortable first class rail and uniquely flexible sightseeing. Welcome to the Eternal City! Check in to your choice of city-center hotel. Tailor your vacation to your own interests by choosing any one of these included tours. Visit us online at AlexanderRoberts.com for detailed sightseeing descriptions, classic Rome features and all the city’s best-known sites, including the Trevi Fountain and the Pantheon. 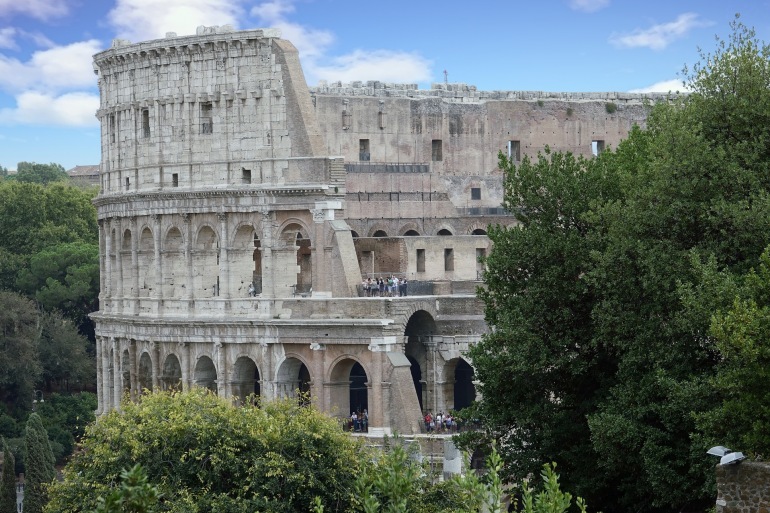 + Imperial Rome showcases ancient Rome, including the Forum and Colosseum. + Vatican Museums including the aweinspiring Sistine Chapel. + Rome by Night reveals all the magic and romance of the Eternal City. Day 3 - Through the Tuscan countryside! A reserved first class seat on the Italo train is a comfortable and efficient way to travel. Delight in the picturesque Tuscan landscapes as you travel to Florence, the city of the Medicis and the Renaissance. Check in to your choice of city-center hotel. Day 4 - Pursue your own passions. Museum, home to Michelangelo’s David. Bike Florence is a fun, expertly guided 2-wheeling tour that includes many of the city’s iconic landmarks as well as charming areas off the beaten path. Florence Highlights and the Uffizi begins in the ancient town of Fiesole and continues with a walking tour through the historic heart of Florence. Finish at the Uffizi Gallery, home to masterpieces by Botticelli, da Vinci, Raphael, Michelangelo and other masters. Pisa Excursion takes you through the lovely Tuscan countryside to see the Piazza del Duomo and its iconic Leaning Tower. Travel by first class Italo train through the scenic countryside to Venice. Check in to the hotel of your choice. Ducal Venice takes you along the city’s most historic streets, through St. Mark’s Square and inside the lavish Ducal Palace. Unusual Venice & Gondola Promenade explores the backstreets between St. Mark’s and the Rialto Bridge and ends with an enchanting Gondola ride. Excursion to the Three Islands visits Murano, Burano and Torcello. Twilight Gondola Serenade takes you on a romantic voyage along the canals of Venice accompanied by music. There is an exquisite range of Hotels to choose from to make your stay more comfortable. You have the option of choosing among Superior, First Class and Superior First Class Accommodations listed on the website. Design the perfect Italian holiday just for you with our extensive network covering more than 20 of Italy’s most beloved towns and little-known gems all across the country!